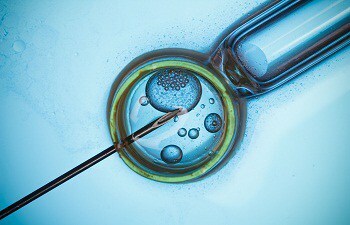 It has been 40 years since the first baby was born using the IVF process. Back then it might have been strange for a couple who were unable to have a baby to put their trust in a petri dish. Since Louise Brown, who was born back in 1978 over 6 million babies have been conceived using the IVF technique. It was November 12, 1977, when Louise Brown was conceived. What made her unique, was unlike other babies she was conceived on a petri dish. This might be common for us now but back then it was nothing less than a miracle. Using the IVF (in-vitro fertilization) technique, which unites an egg and a sperm outside the body she became a sensation and became famous as the “World’s First Test Tube Baby”. The news was taken by people differently. Some people found it exciting, some got hope while a few people were scared. Whatever the reaction might have been. It became one of the world’s most popular technique to help couples conceive a child when they were unable to do so naturally. Although the first successful In Vitro Fertilization conception happened in 1977 the process was conceived back in 1890. It was a scientist named Walter Heape who transferred a fertilized egg from an Angora Rabbit to a different breed. He found that Angora Rabbits were born. Scientists were excited and performed tests on other animals and finally tried it on a human being. The journey to the birth of Louise wasn’t an easy one. Prior to her birth, nearly 300 women had an oocyte, the process of removal of the egg cell. None of the attempts gave a successful result. On November 9 everything changed as Lesley Brown started to ovulate naturally. Earlier scientist tried to help women ovulate with medication but didn’t succeed. The next day researchers found a single follicle in her left ovary. A nurse carried the follicle and the surrounding fluid to a researcher and then to Edwards. The egg was fertilized under a microscope and it was allowed to grow into an 8-cell embryo. At midnight the embryo was transferred back to the mother and the rest, as you know, is history. Since then the research kicked off and millions of couples benefited from it for the next 40 years and possibly more in the future.